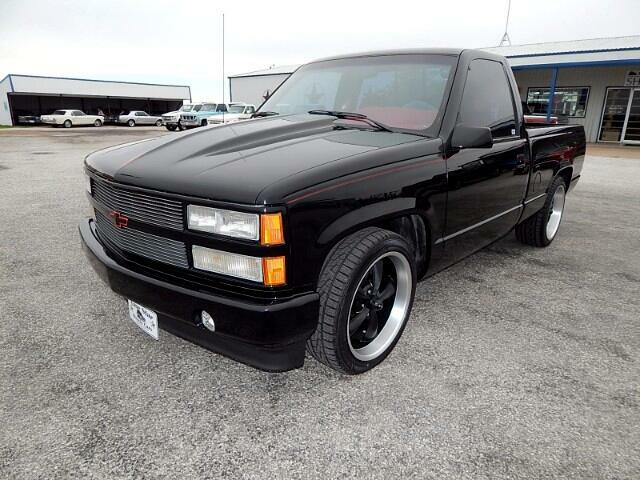 Looking for that hard to find super low mileage 454 SS Truck Here It Is. 1990 SS 454 Custom Show Truck With only 8801 Miles on it This Show Quality SS Has All The Looks And Attitude a 454 should have. The Motor Has Been Upgraded to a Tuned Port Injected System With Tons Of Chrome all Numbers are matching on this Classic Muscle Truck. 454 SS Production Was Only From 1990 To 1993 With Only about 17000 units built. This Custom Truck has it all Custom interior touches to the slick gloss black paint custom pin stripes and so much more. In the last few years these trucks have been going up in value due to the fact it is hard to find a low mile super clean on like this one is.